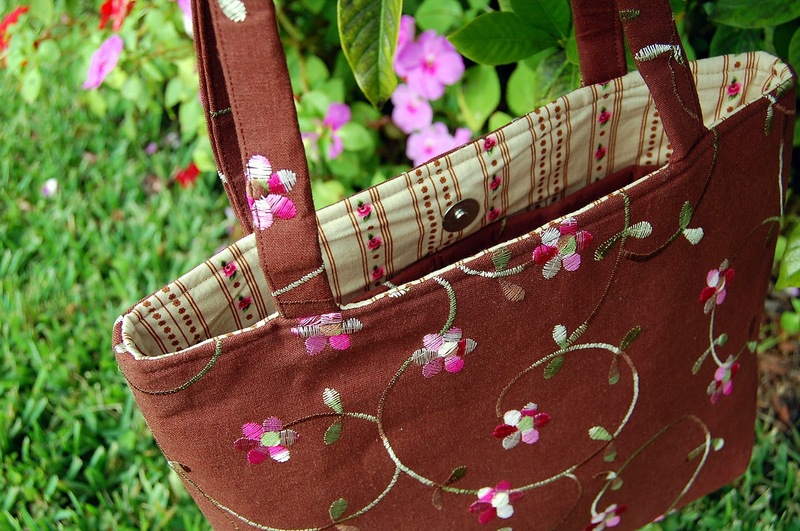 A Giveaway - Beautiful Brown Bag - Winner Time! The winner of the handbag is bhinman (chosen by random number generator) who said, "Super cute bag! Love it!" Bhinman ... please contact me at becauseimme@gmail.com or leave a comment here so I can get in touch with you to get the bag to you. Congratulations! Many bags available for sale in the shop (and quilts, and bibs, and other stuff too!). For those who played but didn't win: Thank you and stay tuned ... a lovely new giveaway starts tomorrow.